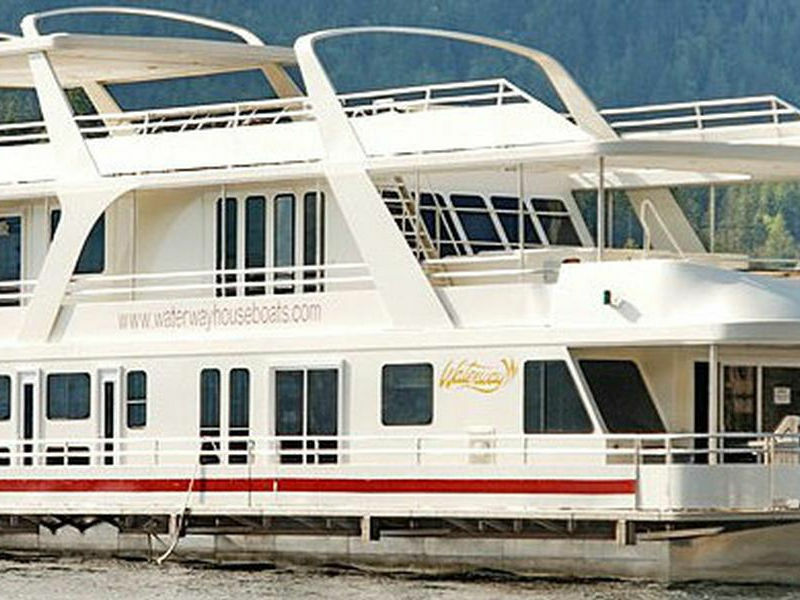 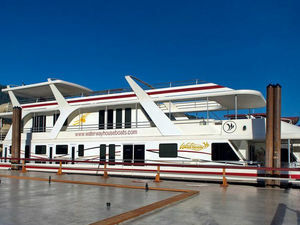 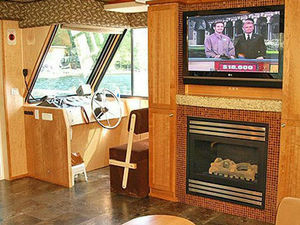 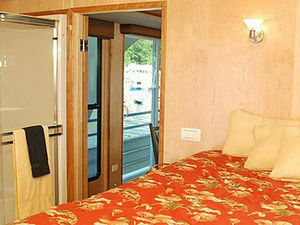 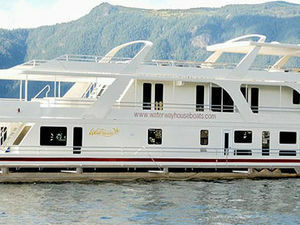 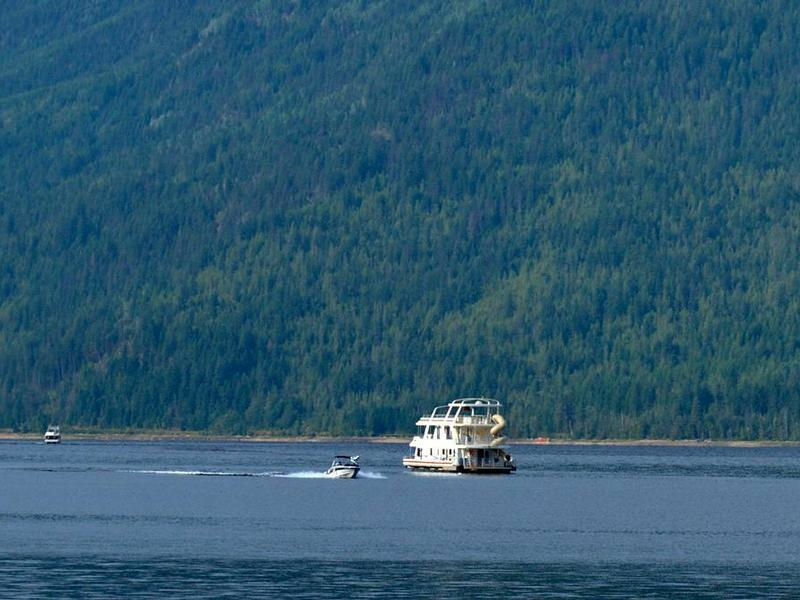 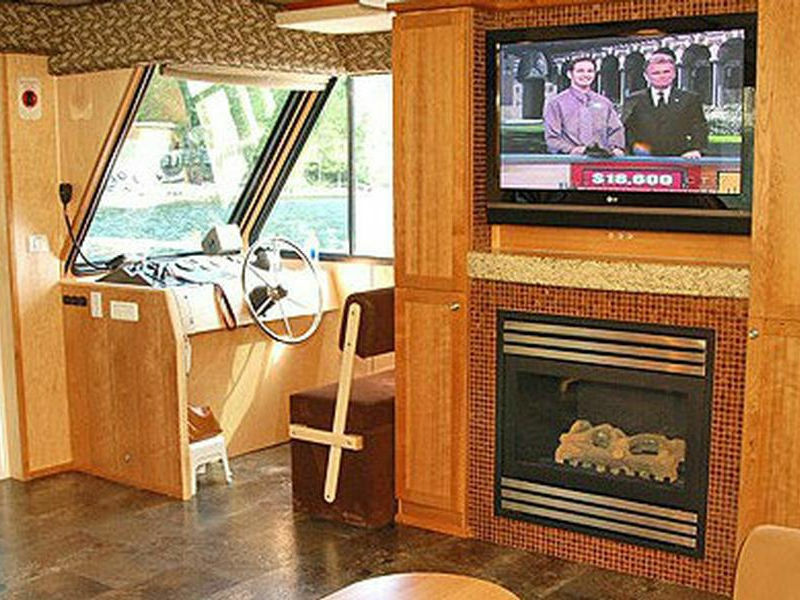 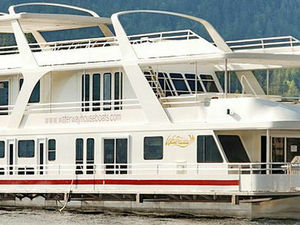 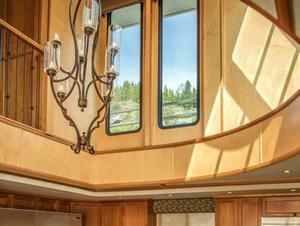 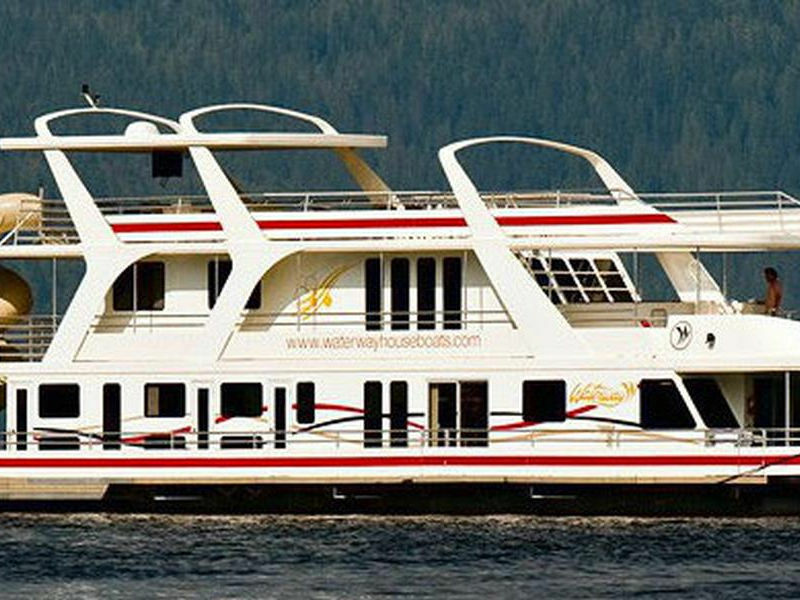 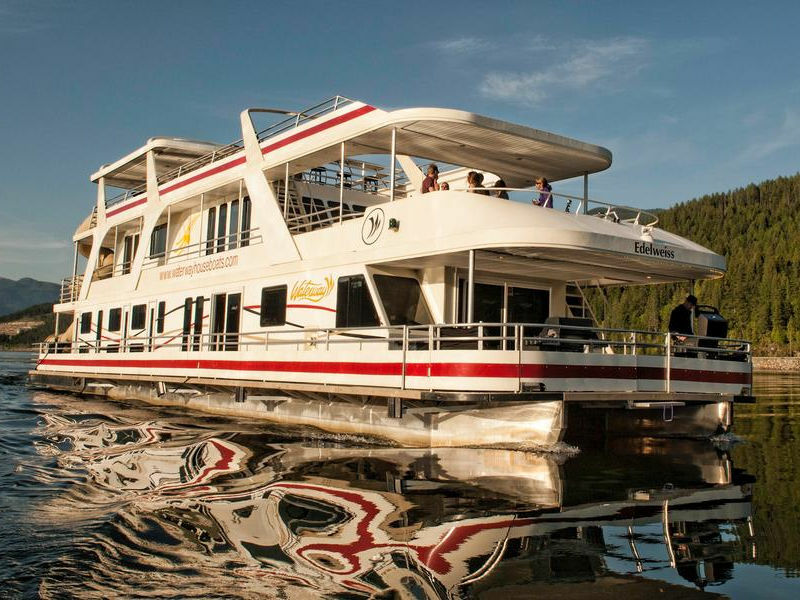 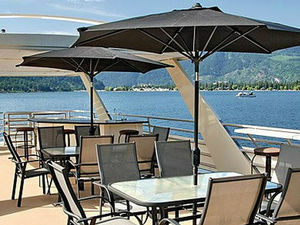 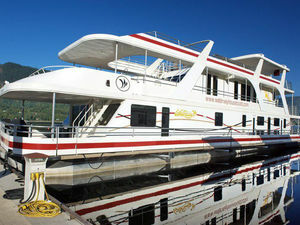 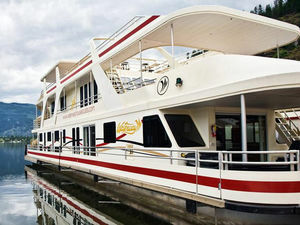 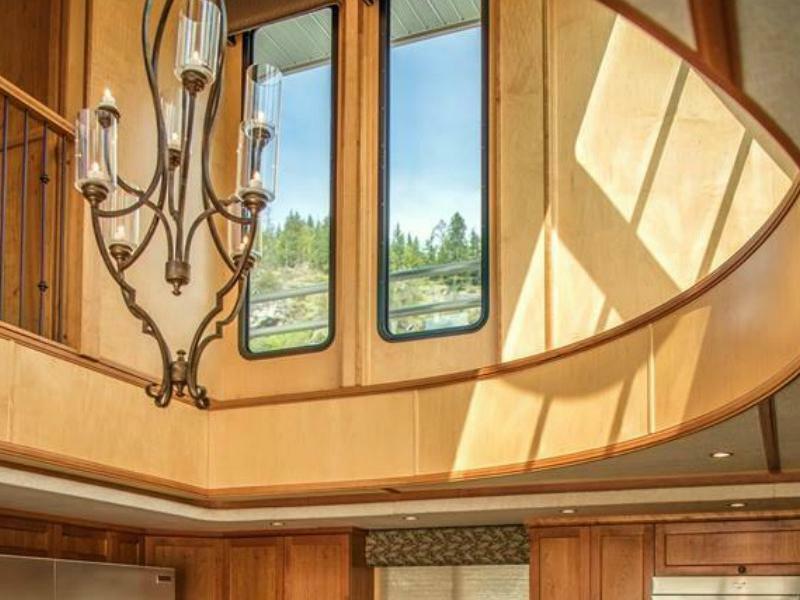 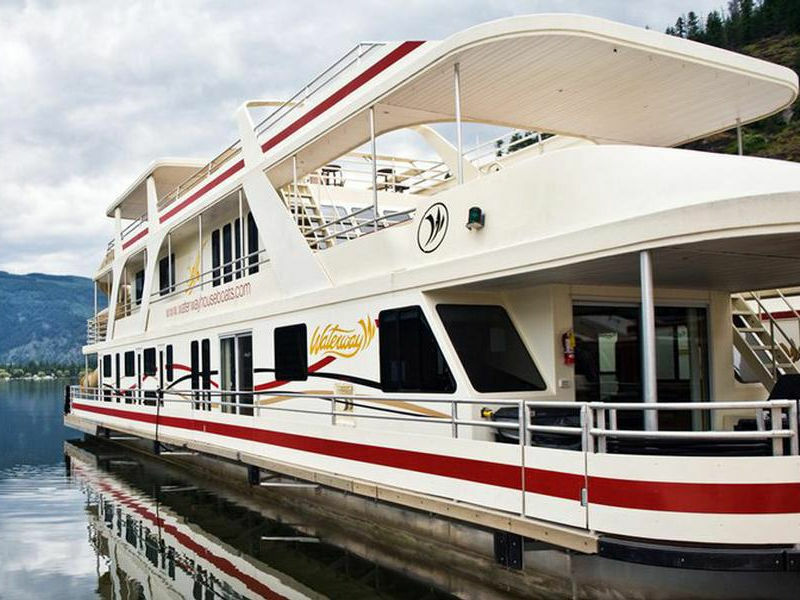 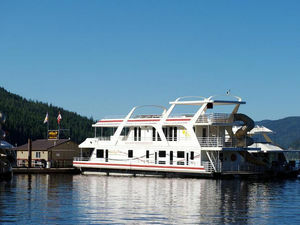 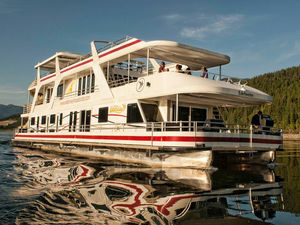 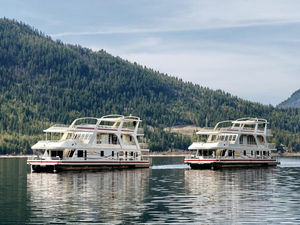 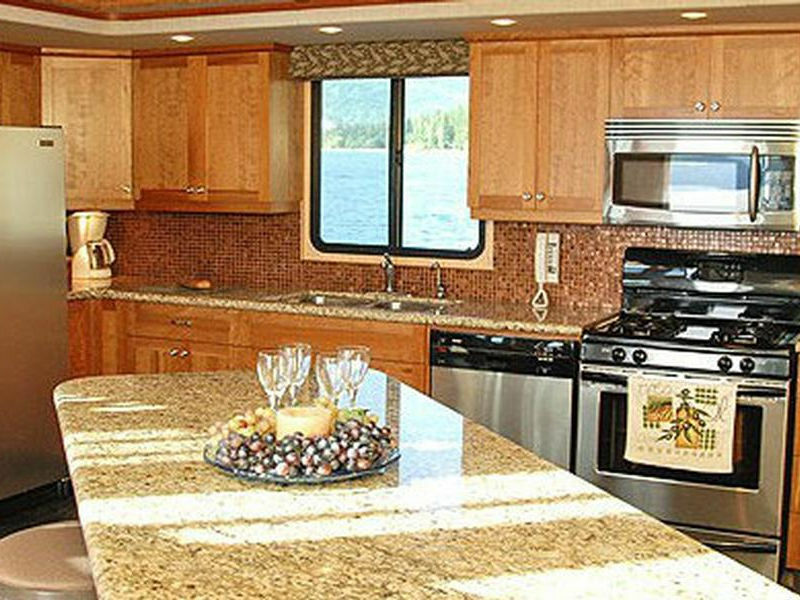 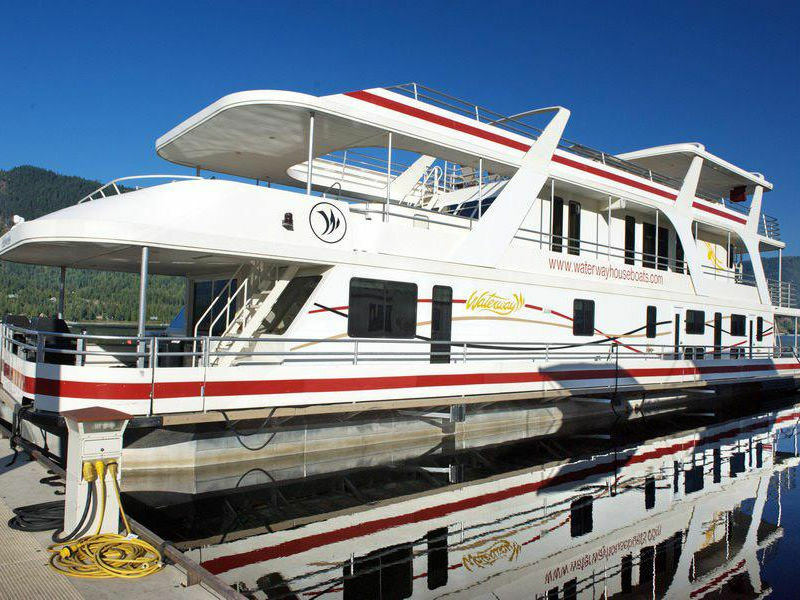 Introducing the Legacy, the largest, most impressive houseboat in the Lake Shuswap fleet. Promising to be the most luxurious vessel on the Shuswap and arguably on any lake in BC, the Legacy stretches to an amazing 94 feet long! 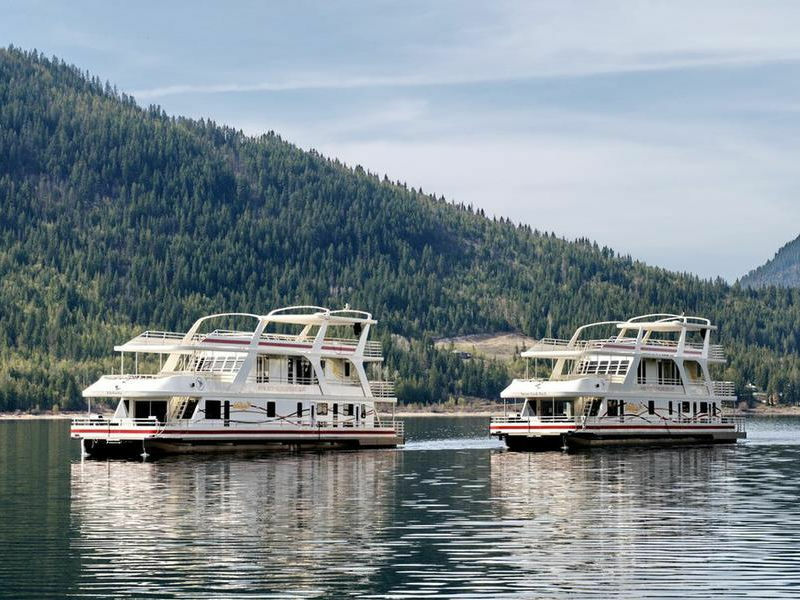 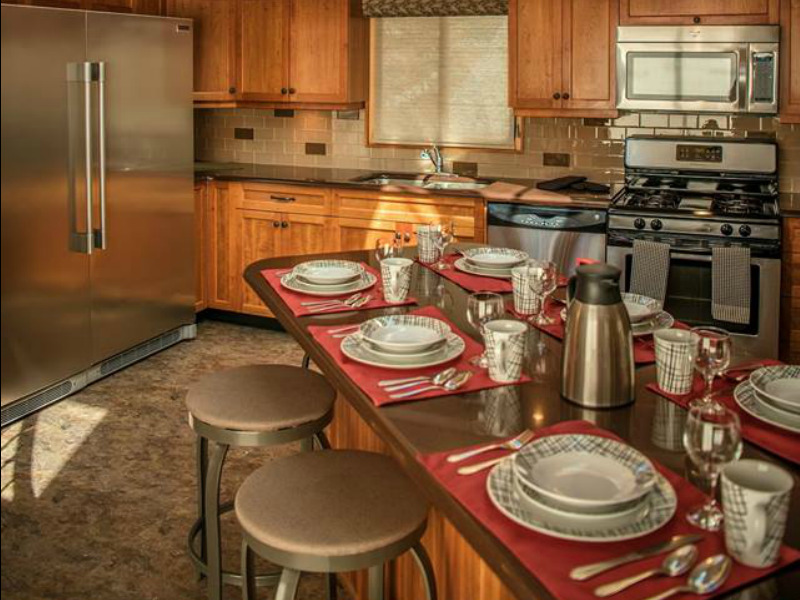 Complete with all the features you've come to love on our Genesis model boats, the Legacy boasts incredible add-ons such as a furnished boardroom, video conferencing potential, 14 foot ceilings, pure granite counter tops, enlarged hot tub, 42 inch plasma TV and a chandelier. 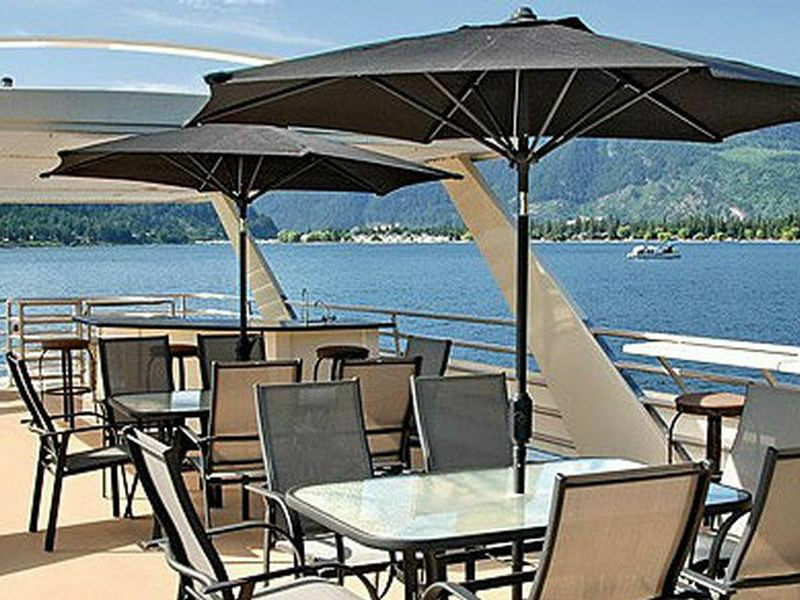 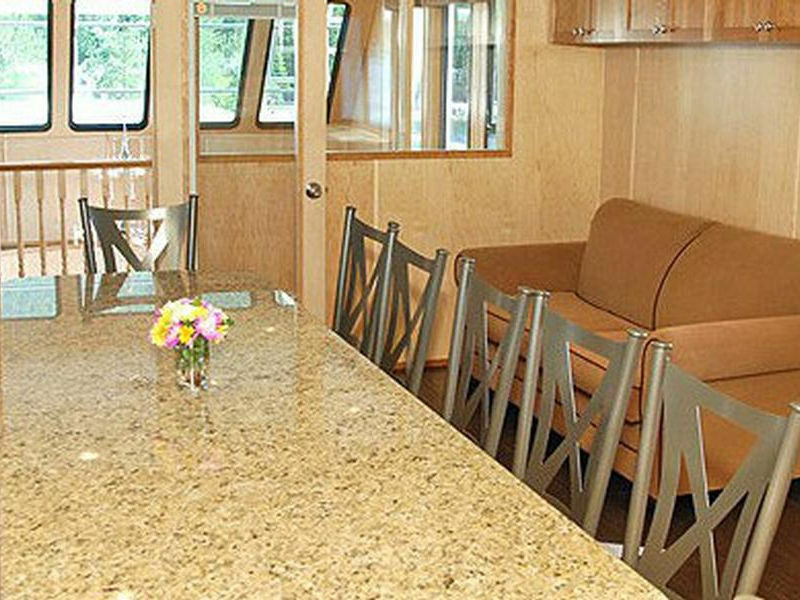 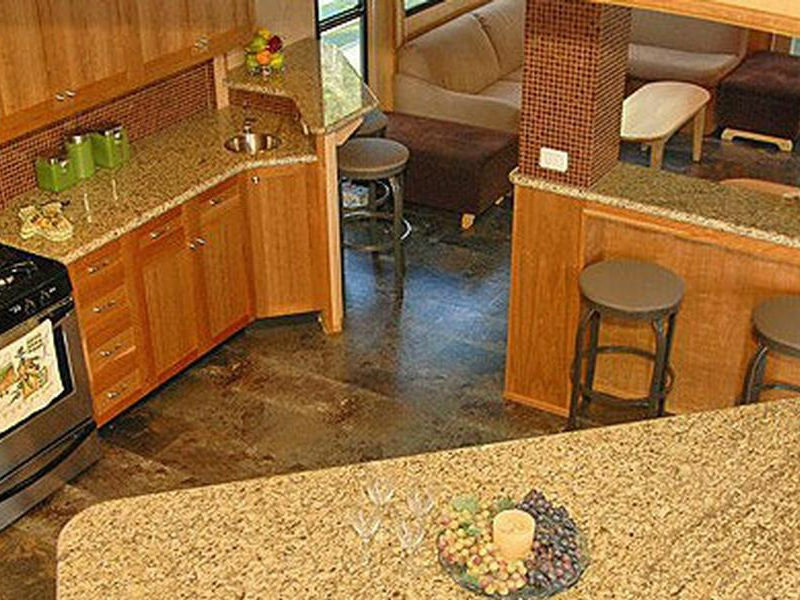 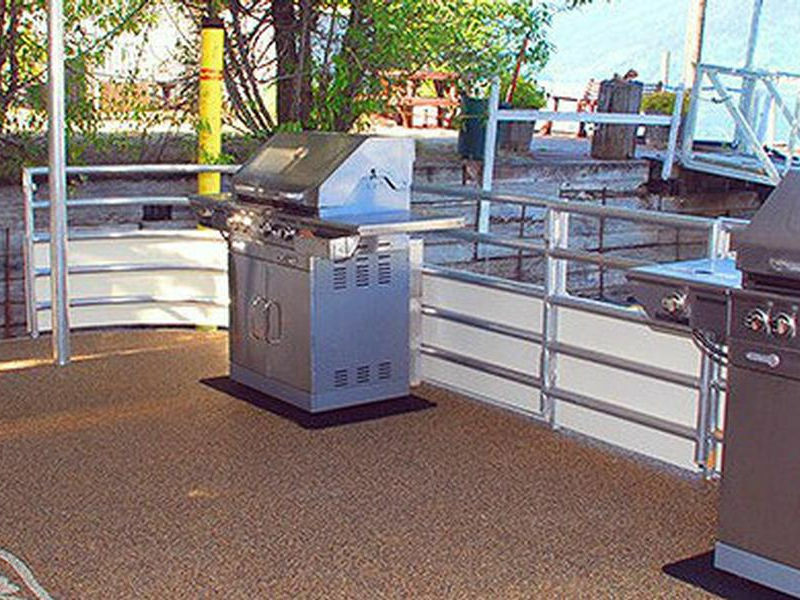 The legacy is a versatile boat, perfect for large parties or a more intimate corporate event. 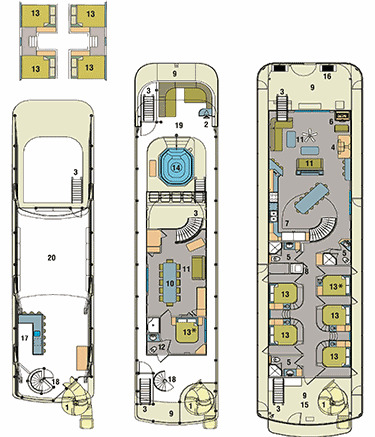 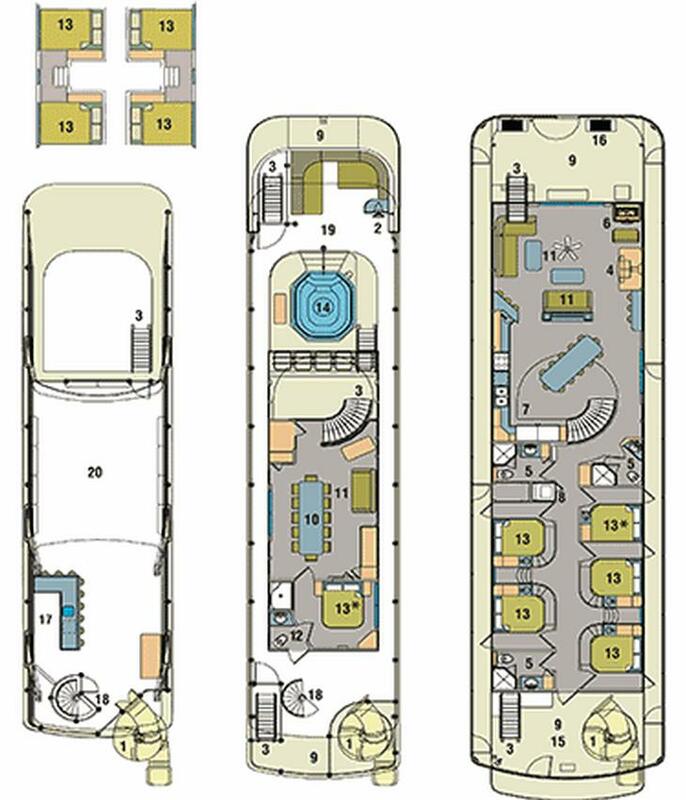 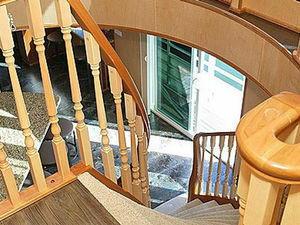 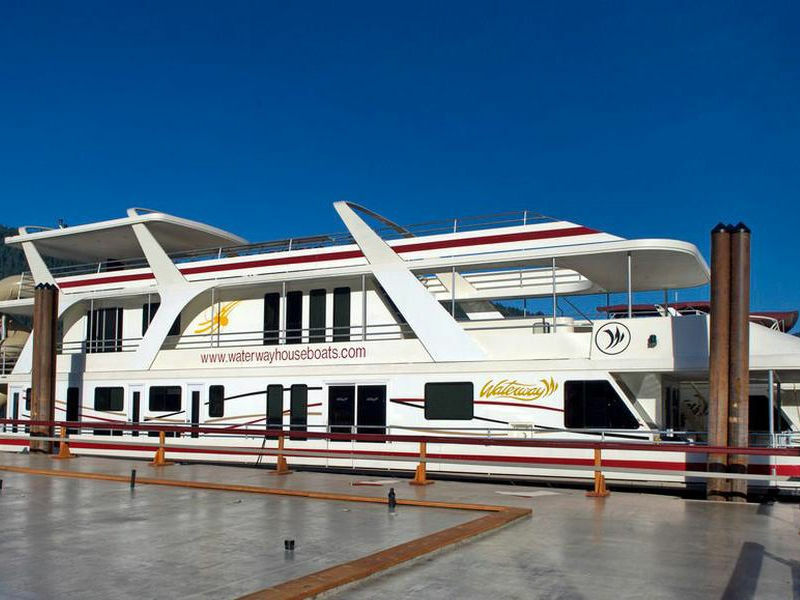 The 3 story, 24 foot wide Legacy features walkways down both sides, 6 staterooms, and 4 bonus rooms, as well as heavier insulation than its predecessors. 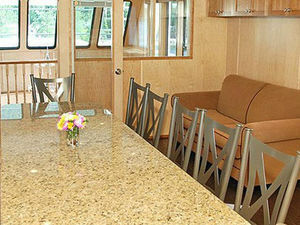 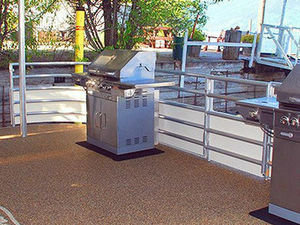 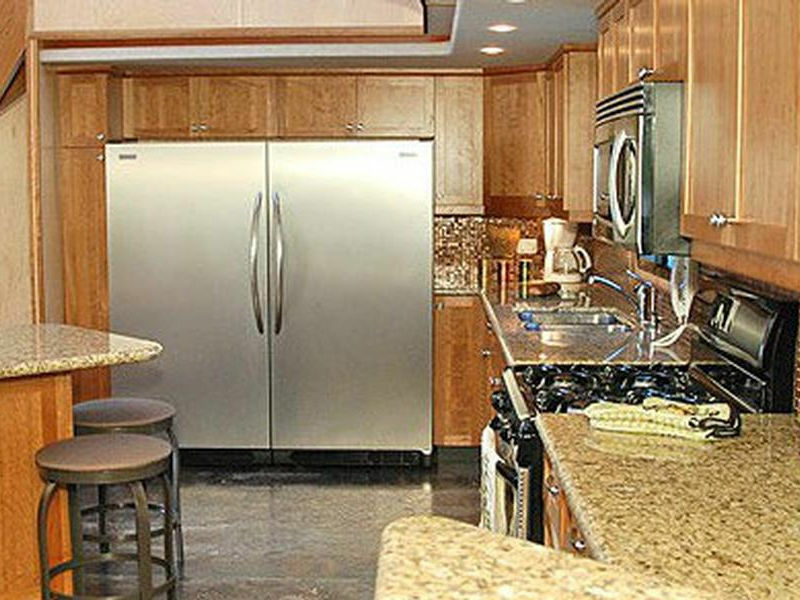 The rental rates listed do not include sales tax, environmental fees, propane, fuel expenses, propane or other options. 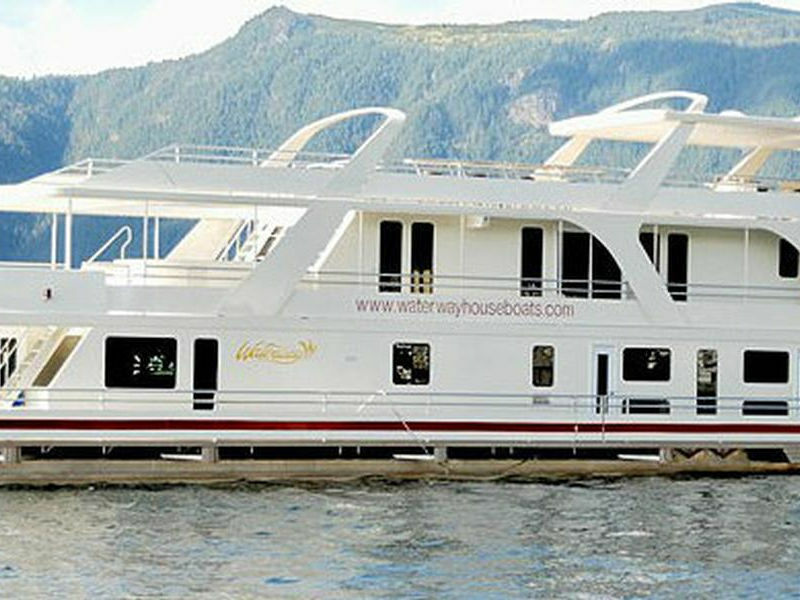 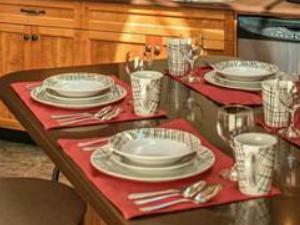 A down payment of $1500 is due when you make a reservation. 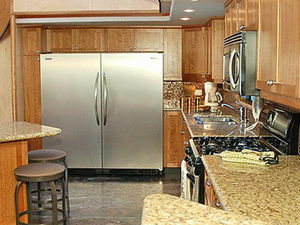 A refundable security deposit of $7500 is due upon arrival if you purchase the insurance option. 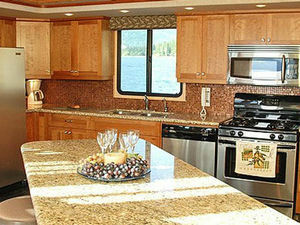 The refundable security deposit is $15000 without purchase of the insurance option. 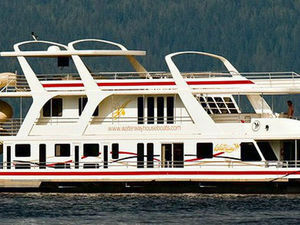 The Legacy 94 is allowed to beach anywhere except Nielsen beach (party beach) because it is pointy and gets strong crosswinds that have a bigger effect on a 3-story houseboat.